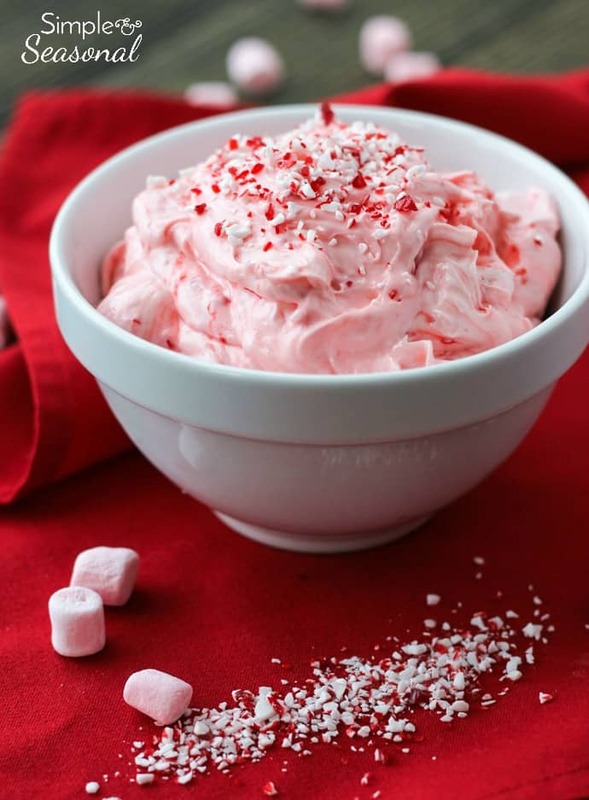 This easy, five minute Peppermint Fluff recipe is perfect for Christmas parties. 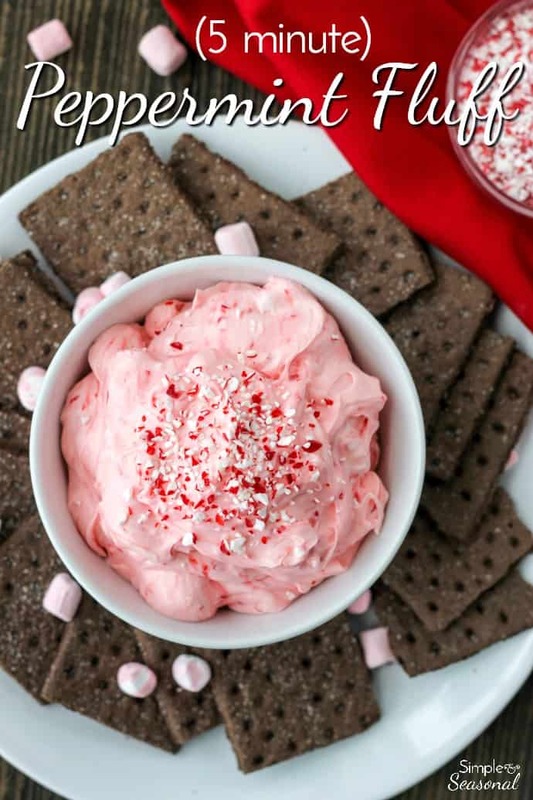 It’s sweet, creamy and perfect with chocolate crackers or cookies! In December, when the schedule starts filling up with Christmas parties, gift exchanges, work parties and class Christmas activities, I like to have several easy recipes ready. 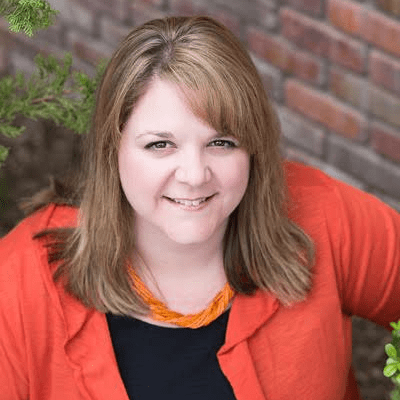 If I can keep a few staples in my pantry then it’s possible to avoid a special trip to the store and added stress on our schedule! 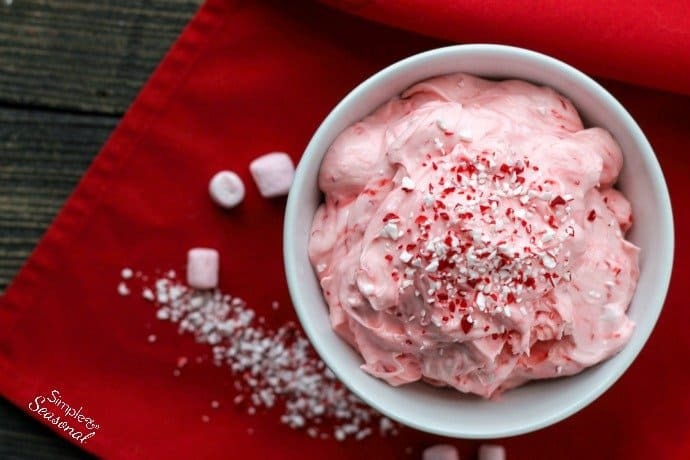 This easy Peppermint Fluff is a five minute recipe with only a few ingredients, and it looks so pretty on the Christmas party table! This easy, five minute recipe is perfect for Christmas parties. It's sweet, creamy and perfect with chocolate crackers or cookies! 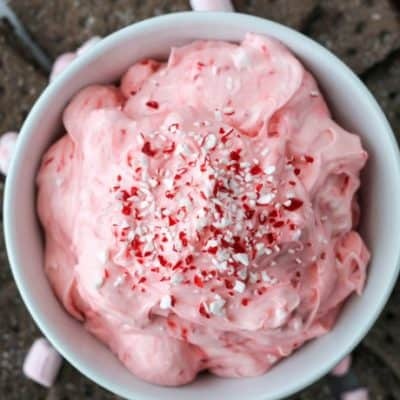 Mix the marshmallow fluff and cream cheese (it's easiest with a mixer). Beat in the peppermint extract. 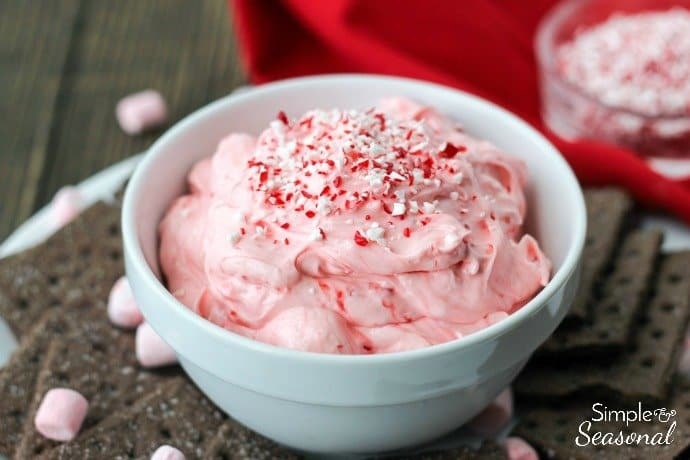 Fold in the crushed peppermint and marshmallows. Sprinkle a little on top and serve with chocolate graham crackers! Allow to come to room temperature when serving to make it easier to dip/spread. Every year, my Winco carries crushed peppermint in the bulk section. It is a life saver during the busy holiday season! No buying candy canes, unwrapping a bunch of them and then making a mess in the kitchen while smashing them up. I buy a bag full and stash it for the month. 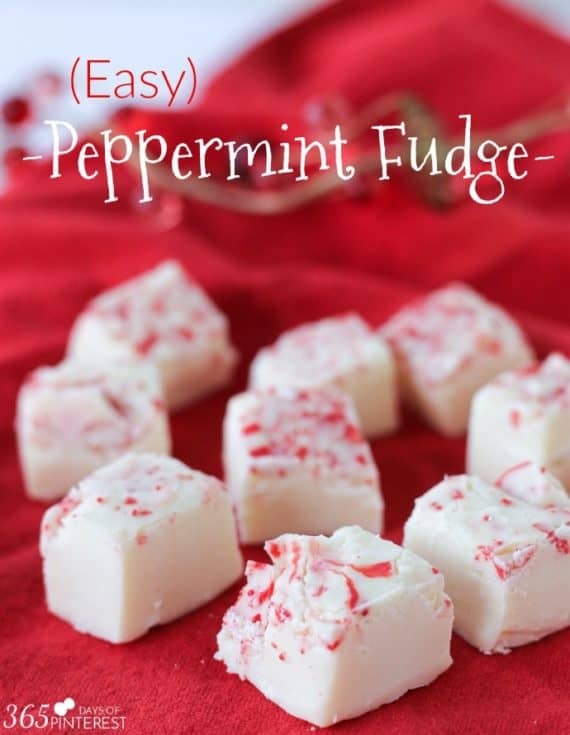 🙂 I also picked up some fun peppermint marshmallows for this recipe. They are not common, so if you see a bag, grab one! If you can’t find them, you can use regular mini marshmallows or skip them altogether. 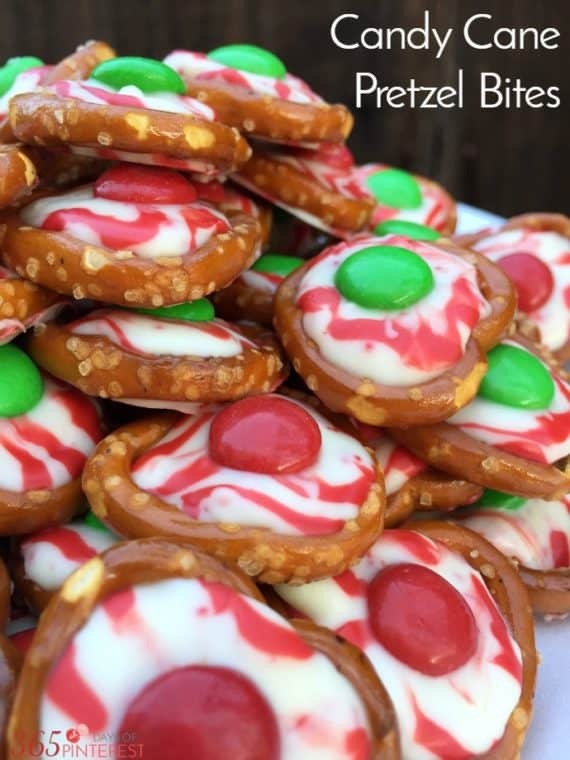 For more easy Christmas recipes, check these out! Sounds yummy! Is marshmallow cream the same as fluff? What size jar did you use? Thanks! Yes, it’s the same thing 🙂 I’ll have to check on the size. I believe the standard size is 7 oz.